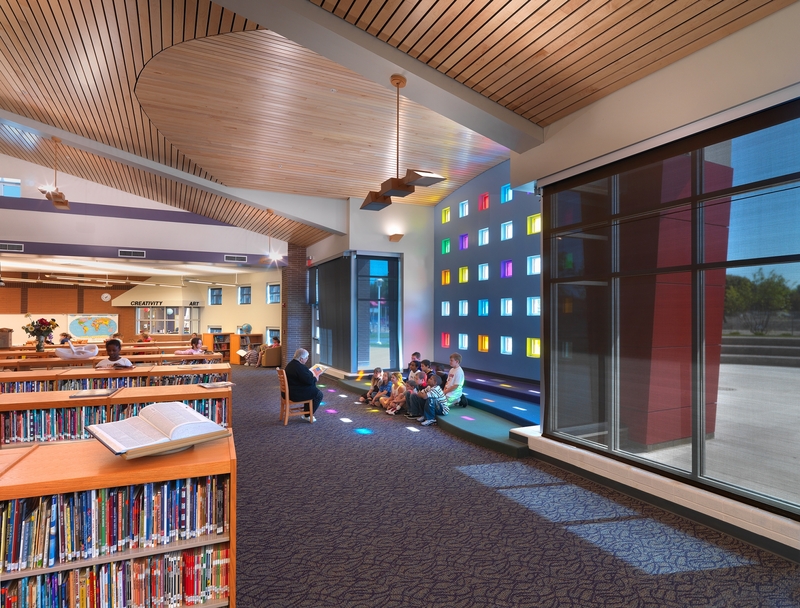 Presented by School Planning & Management Magazine and The Council of Educational Facility Planners International (Now the Association for Learning Environments). 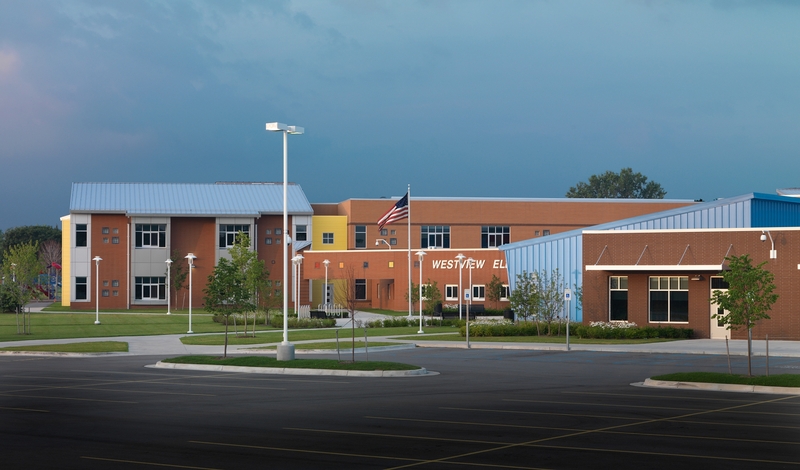 Westview was designed to support exploration, discovery and team-based learning while remaining flexible to the educational demands of the future. 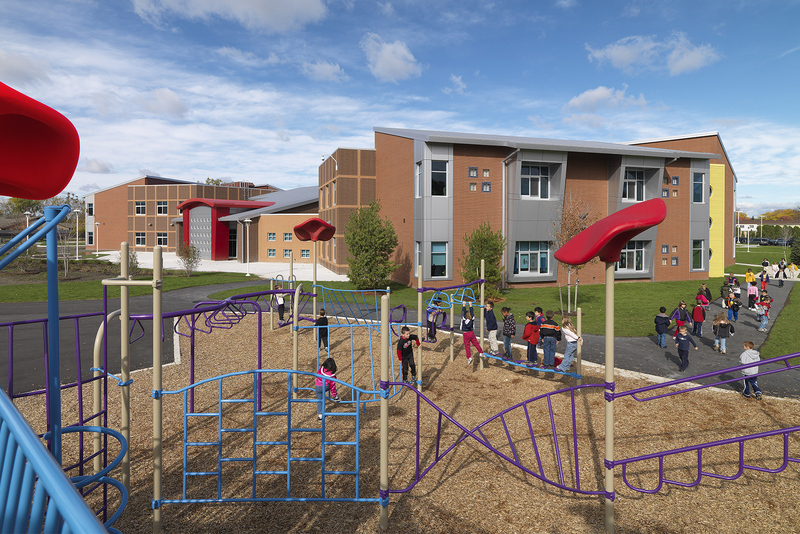 Classrooms for pre-K through fifth grade are organized into learning communities, each having their own identity and central resource area. 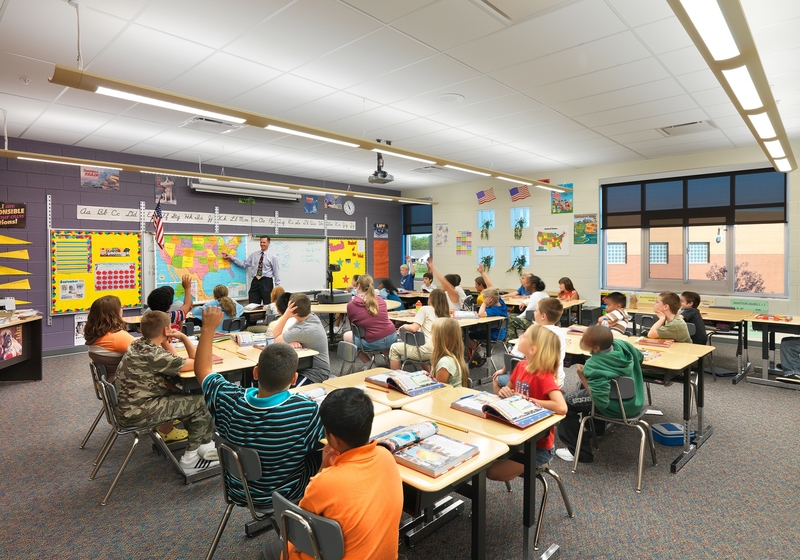 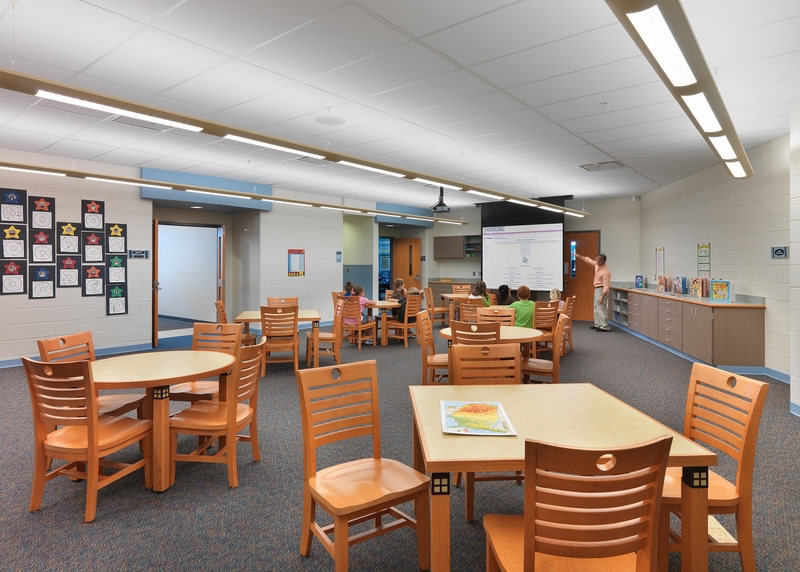 These individualized areas create a sense of place for each student while providing flexibility for both large and small group instruction as well as distance learning activities. 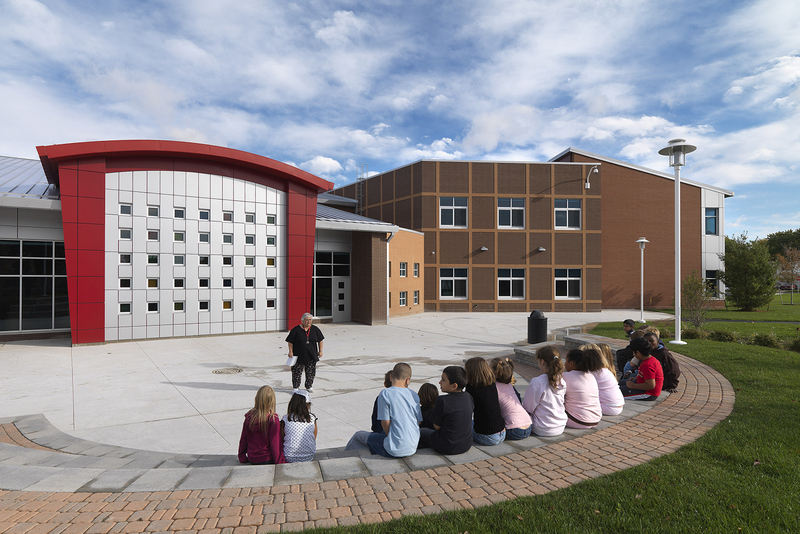 The outdoor classroom provides an environment for hands-on life sciences learning which is centrally-located and strategically-placed near the main entrance lobby. 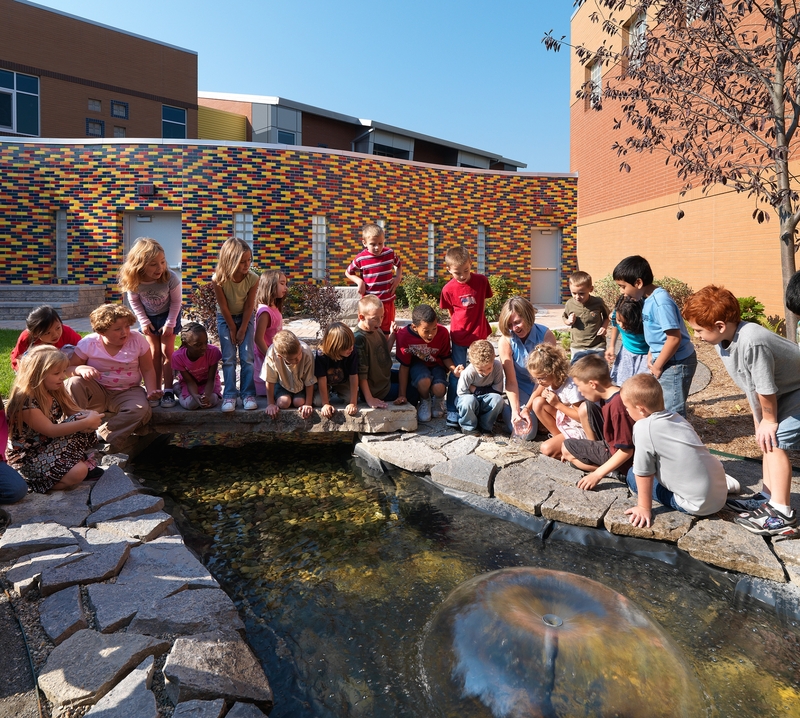 All visitors are exposed to this dynamic learning arena which offers a pond, teaching platforms, built-in seating and butterfly and hummingbird gardens. 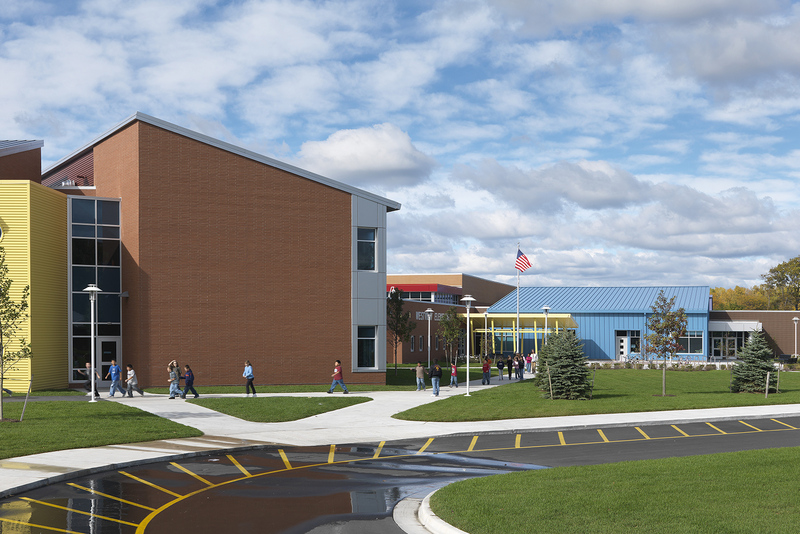 A closed-loop geothermal ground source heat pump system provides an extremely efficient approach to heating, ventilating and cooling the building. 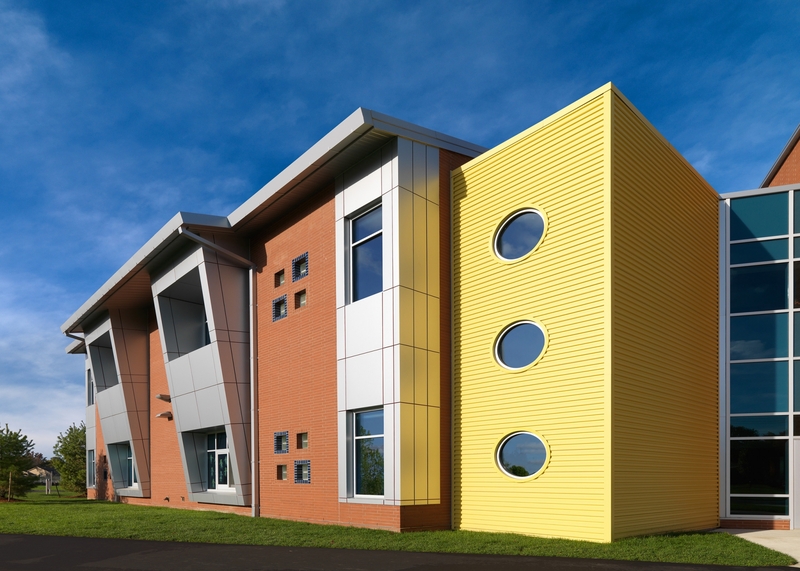 This approach has resulted in substantial energy savings. 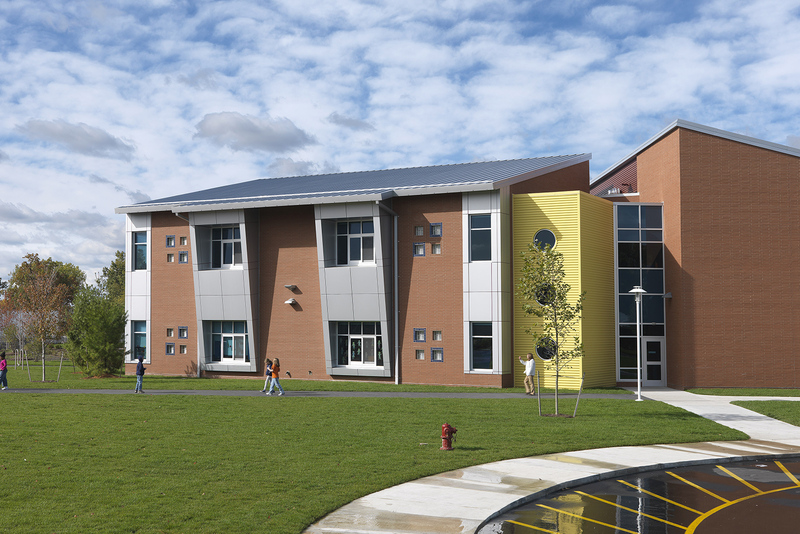 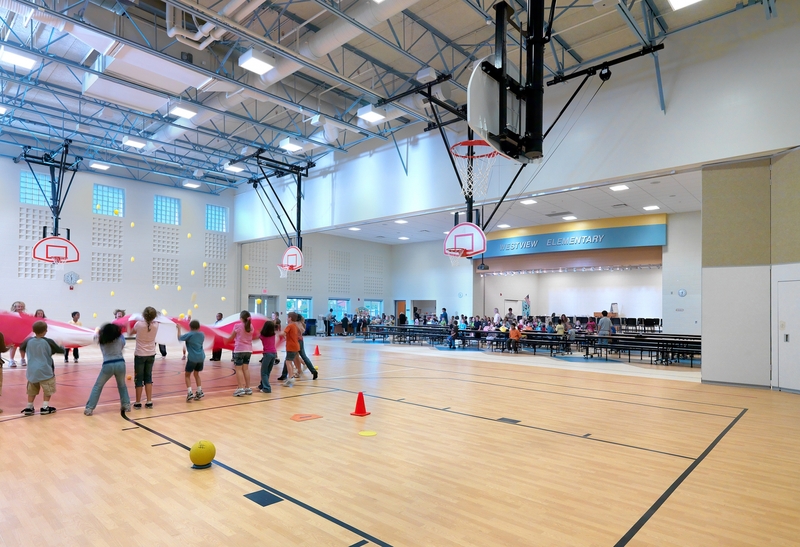 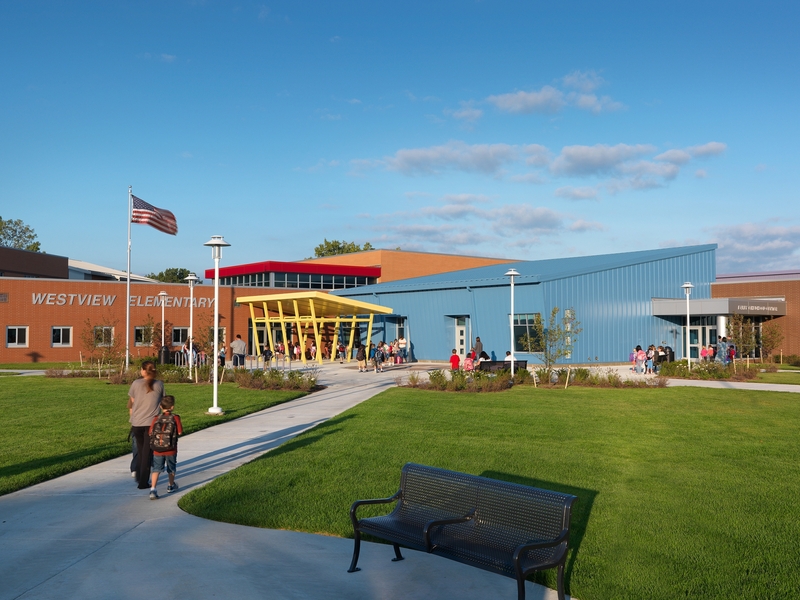 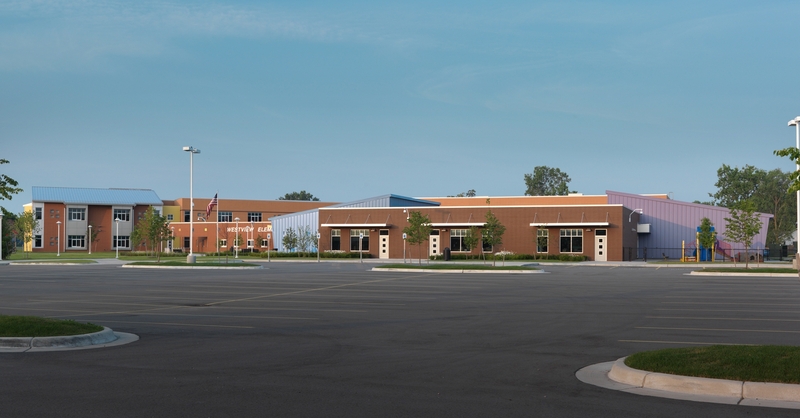 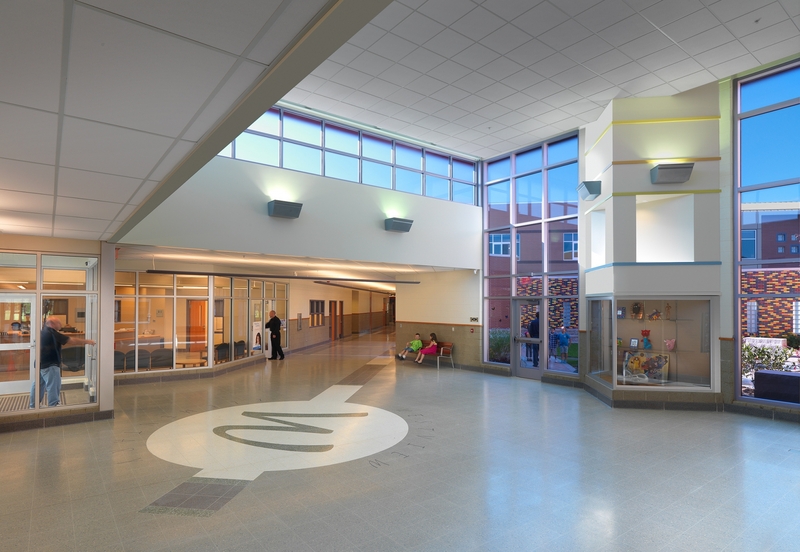 Westview utilizes the latest technology, natural lighting, adaptable spaces, simple building organization, color, texture, unique learning places and a dynamic aesthetic to support a fun, inviting and welcoming learning environment for the students, teachers and community.